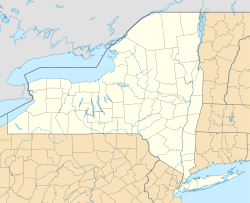 ^ 2013 US Census Estimate for New York. United States Census Bureau. [March 9, 2014]. ^ American FactFinder. United States Census Bureau. [January 31, 2008]. （原始内容存档于2013年9月11日）. ^ Gannett, Henry. The Origin of Certain Place Names in the United States. Govt. Print. Off. 1905: 136 –通过Google Books. ^ Faber, Harold. The World Capital of Whatever. New York Times. December 9, 1993 [August 11, 2008].